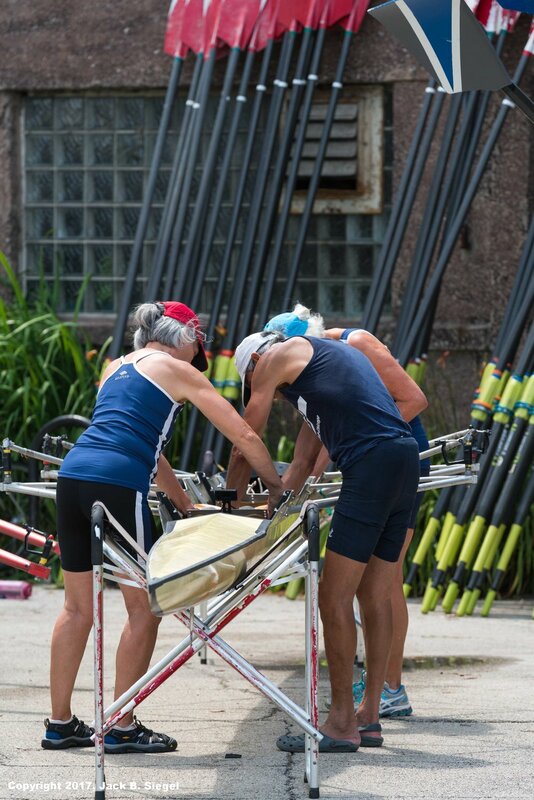 The Lincoln Park Boat Club held the 37th Annual Chicago Sprints Regatta on July 7 through the 9th in the lagoon that seperates Lincoln Park from Lake Shore Drive. I was in Maine at a photography workshop during the week, but managed to make it back for Sunday's finals. The event features 1,000-meter, side-by-side, Henley style racing. I don't have this year's numbers, but last year, over 1,000 athletes participated, with 27 clubs from 10 states in the chase for victory. Enthusiastic spectators and participants lined the banks of the lagoon. Every 15 or twenty yards there were PA speakers blasting out just the sort of music that pumps up athletes. Several tents lined the shoreline just south of the Lincoln Park Boat House. selling crew paraphernalia, Gatorade and soft drinks, energy bars, and snacks. There also was the tent that held three or four trophies. Several rowing clubs also had small tents, where members gathered for informal meals. In back of the tents were trailers containing the boats, with the teams congregated around their boats. The uniform for the day was bicycle style shorts and tops, although I am sure they were designed for crew teams. One thing is for sure, the attire was skin tight, revealing the well-toned physiques and muscles, particularly in the thighs and shoulders. Participants included high schoolers, collegiate athletes, weekend warriors, and members of the over-60 set. Some boats were mixed male and female. One team was comprised of breast cancer survivors. Overall, the participants were fit, trim, and colorful. College crew coaches typically look to cross country runners to man the boats. Crew is an aerobic activity. As once cross country runner, I recognized the classic runner build: tall and thin. Crew has one advantage over cross country: It is not nearly as hard on the knees. As is always the case, the coxswain provided the entertainment and laughs. Laying flat in the boat, their voices rang out through the mini-PA system attached to each coxswain. You've gotta love all the good-natured trash talk coming from the boats meant to goad the the rowers on. The crews were kind, however. Normally, the coxswain for the winning team gets dumped in the drink, but that probably is not a good idea in the Lincoln Park Lagoon. Isn't that right Leslie? The races involved single-person, two-person, four-person, and eight-person crews. While competition was spirited, I doubt that most of the participants have Olympic careers in mind. The atmosphere was a little bit too collegial, which indicates that the competitive go-getters normally associated with crew were absent, but that is not to take anything away from the effort put out by the participants. Rowing in Lincoln Park is nothing new. The Lincoln Park Boat Club was organized in 1910, but dating to 1887, the lagoon was specifically designed for rowing. It was shaped using the debris from the Great Chicago Fire of 1871. The boat house is rather nondescript, but it is historic, dating to 1908. Designed by Dwight H. Perkins, it is reflects the Prairie School of design. Prior to the construction of Lake Shore Drive in 1936, the lagoon was much larger, but the drive reclaimed roughly half of the lagoon. 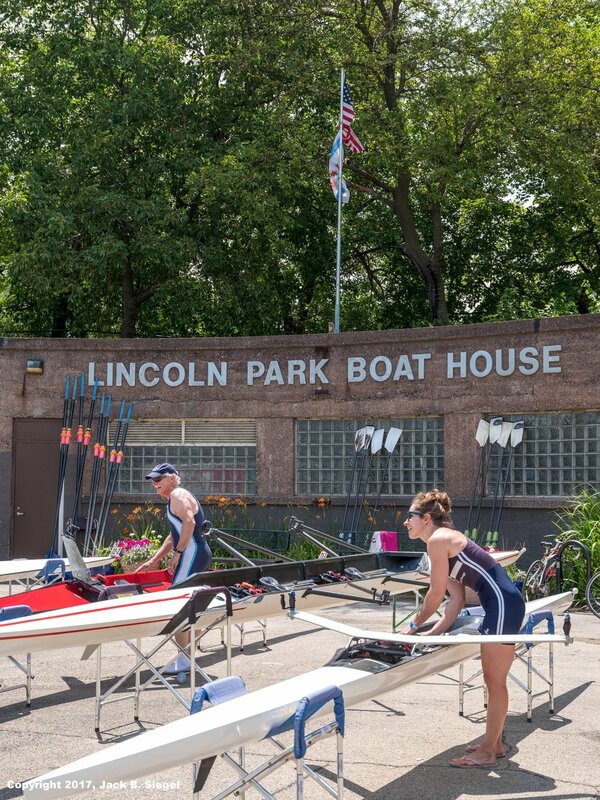 Although I have uncovered few details, Farr Associates has plans for renovation and expansion of the boat house, which apparently are under consideration by the Lincoln Park Boat Club and the Chicago Park District. Under the proposal, the original boat house would be retained, but a large addition would be built to the north with terraced steps leading to the water. In a bow to the environment and in keeping with current City of Chicago, the roof would be lined with grass, or at least that is what the drawings suggest. Photographers Note: Photographing the regatta is difficult is you are like me. Lake Shore Drive was backed up with traffic during the three to four hours I was at the event. The parking lot for the Lincoln Park Zoo runs along the west side of the lagoon. 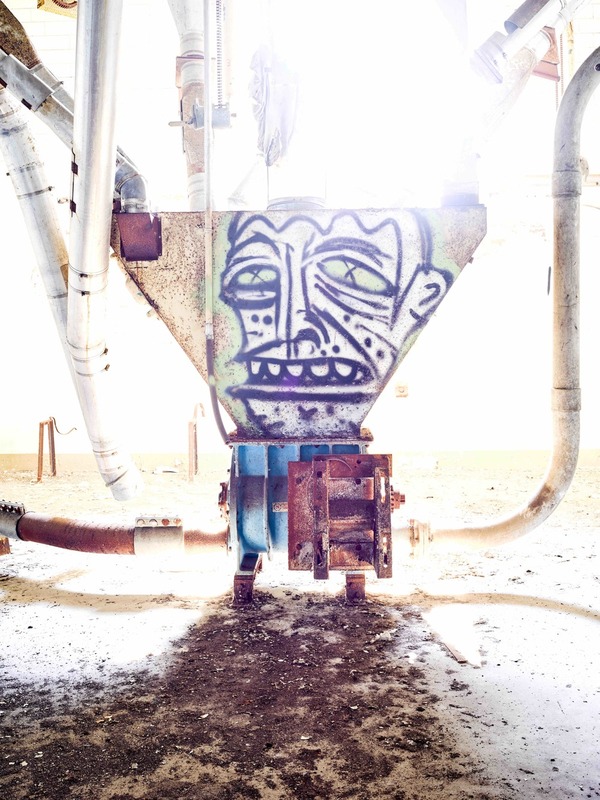 Together, the drive and the parking lot make it virtually impossible to create photographs without hideous, boxy cars. Bring back tail fins and chrome bumpers. On top of that, for most of the day, the sky was white given the high humidity, so washed out colors and the absence of contrast were problems. I did have a nice chat with a young lady who asked me what camera she should should take on her upcoming trip to Madagascar. I said, "So what's wrong with the Sony Alpha you are using to photograph your friend who is a race participant?" When she asked for a recommendation for a helpful photography book, I told her to check out Bryan Peterson's Understanding Exposure, which I just to so happened to have on my iPad mini. "Boy, You Got to Carry That Weight"